ENTERTAINMENT WEEKLY: In the past, you’ve had some doubts about getting Castle and Beckett together. Has that changed? 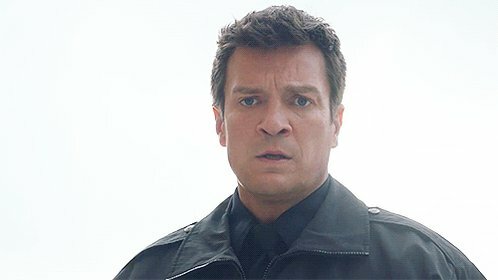 NATHAN FILLION: Yes, I have never been a proponent of these two getting together because I’ve always seen it as an ending. But two things: First, I think our writers have always been good at designing circumstances that keep them a part realistically. They’re never on the same page at the same time. It’s always in a reality-based way. However, I’m finding now that seeing [them getting together] as an ending has been a folly on my part. This has actually — the way the writers are treating it now — they’re treating it as if the first four seasons have been a protracted beginning. Now we can finally start the show. So it’s all been a very long, protracted beginning and now we can start the show. Tell me about Castle’s reaction to hooking up with Beckett.